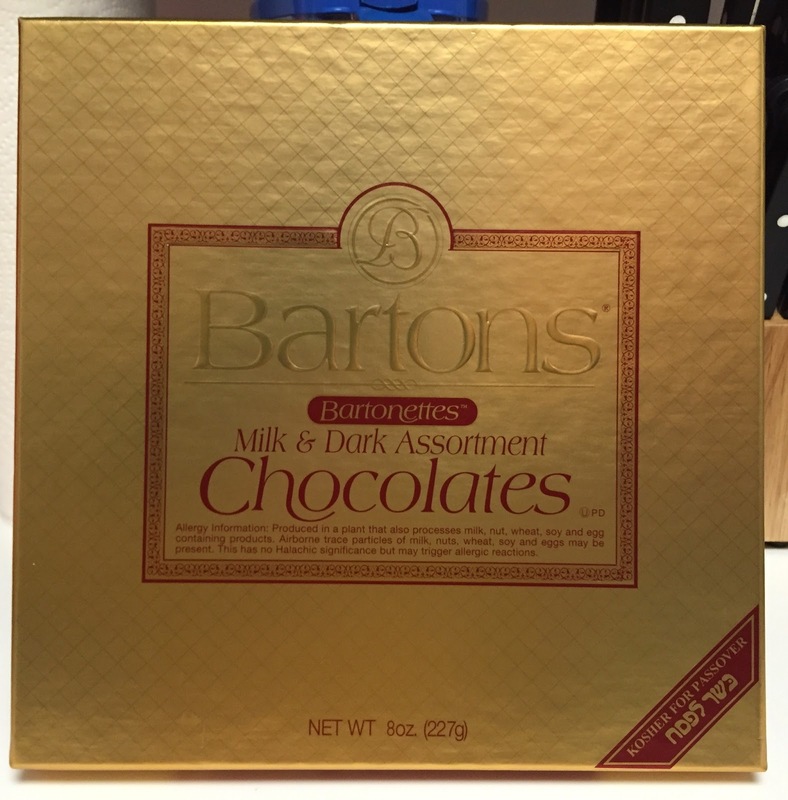 My husband brought back Bartons Bartonettes Milk & Dark Assortment Chocolates from his parents' house because everyone knows I love sweets. 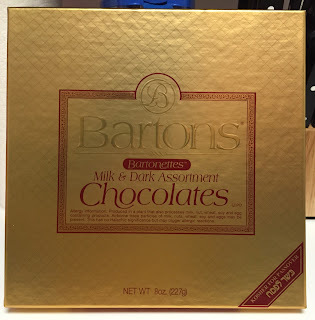 I've never had Bartons before but apparently they make Kosher chocolates. 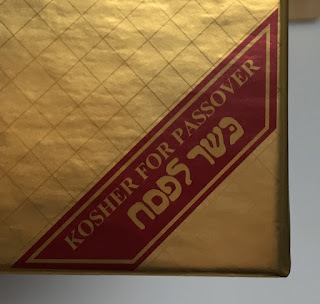 And this is Kosher for Passover. 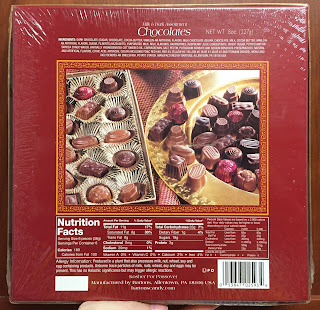 Opening the box, I saw a slip sitting over a cushion sheet. 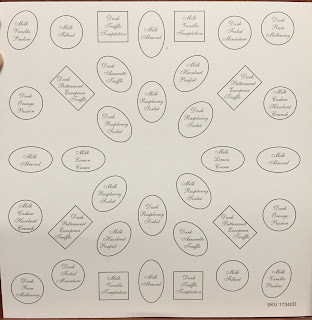 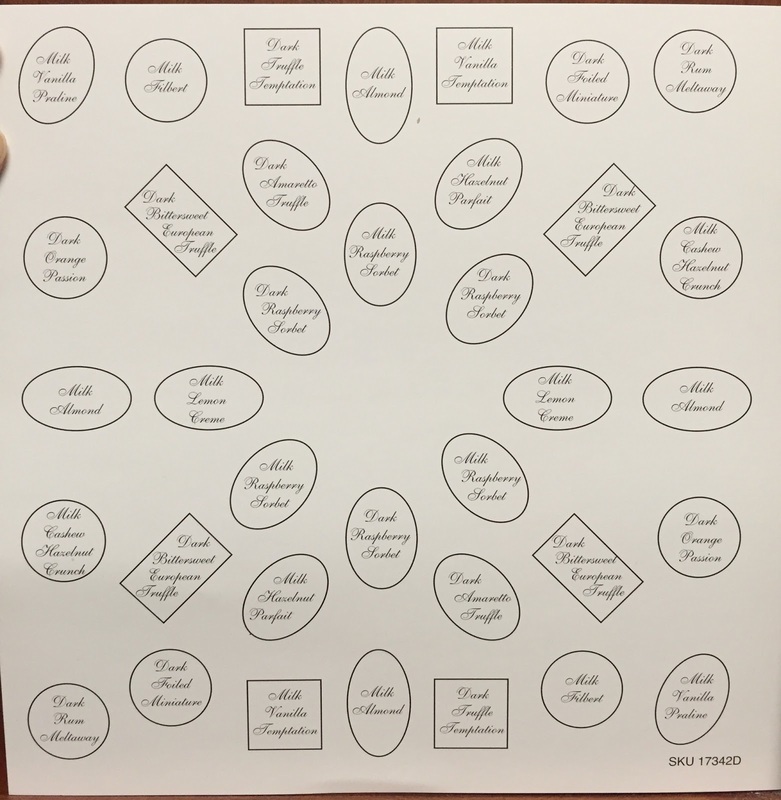 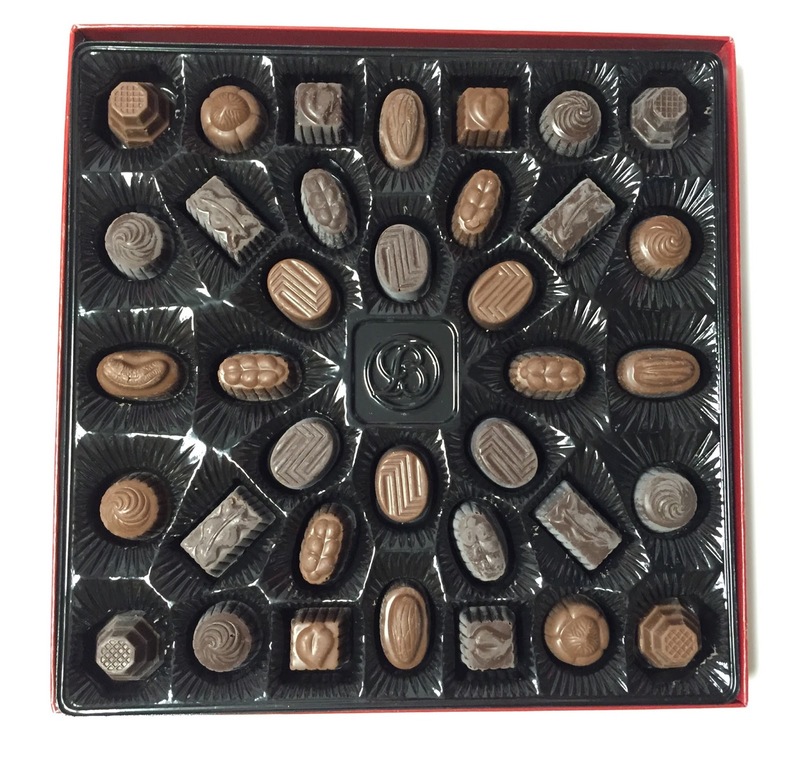 It's a chart of flavors and I thought it's very neat as each chocolate flavor was mentioned. 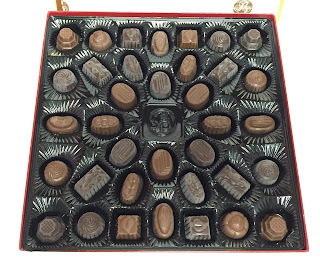 Overall, the chocolates had white object on the top. It's either sugar bloom, which is melted and recrystallized sugar or fat bloom, melted and recrystallized fat, and it's not mold or harmful to your health. 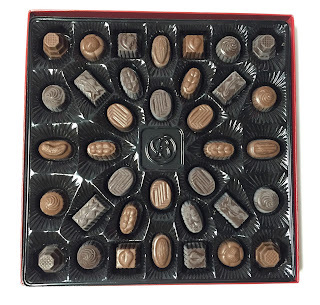 There're so many mini chocolates with different flavors, and dark was slightly bitter but not as bitter as 70% cacao chocolate and milk was softer and creamier.